Who was W. C. Wentworth and why was the Blue Mountains crossing so important? Wentworth Falls and the Blue Mountains are not only a breathtakingly stunning part of the world but have also played a fundamental role in history in paving the way to the economic progress of Australia. From a tiny town west of Liverpool called South Creek, 200 years ago three explorers set out to change the history and nature of the state of New South Wales. 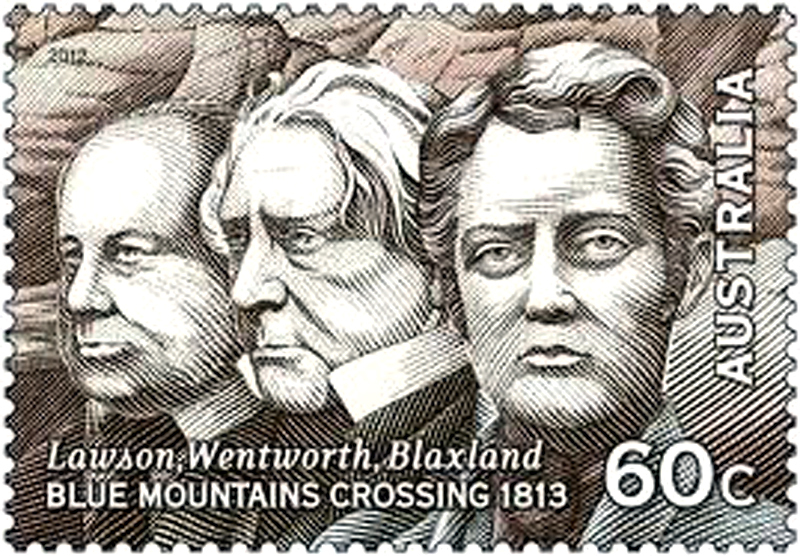 In 1813 Blaxland, Lawson and Wentworth surmounted countless obstacles in crossing the Blue Mountains and managed to travel 160km in merely 21 days. The year 2013 marks the bicentennial celebration of this crossing and a re-enactment will take place with a descendant of William Charles Wentworth. The town of Wentworth Falls and the actual falls themselves were named after the explorer as a homage to his bold achievement and a tribute to his contributions to Australia. With this blog we would like to review the importance of the crossing of the Blue Mountains and also focus our attention on who William Charles Wentworth was. What is the significance of the Blue Mountains crossing? At the beginning of the 19th century, the state of New South Wales as a colony of the British Empire was mainly inhabited on the coastlines. The economy of the state of NSW was nowhere as prominent and strong as it would become in the mid 19th century. Furthermore, the areas surrounding the coastal settlements were principally bush and therefore hardly accessible or worthy of interest to the settlers due to their lack of colonial activity. By the time Gregory Blaxland, Lt. William Lawson and William Charles Wentworth set out, a considerable amount of information had been gathered. Not only did they know of numerous routes which didn’t work, but they had George Caley’s observations of the main ridge, made from Mt Banks. They also knew that the most successful efforts were those which followed ridges. They set out, on May 11 1813, to mount the “main” ridge from Emu Plains, and followed a route similar to that of the Great Western Highway and railway to Mt Victoria. They then followed a finger ridge to Mt York, arriving late on May 28. Although many others had tried to cross the Blue Mountains before them, they were the only ones who were successful and the only ones who were recognised as having crossed the mountains given their British colonial identity. The most significant outcome of their exploration was the subsequent construction of a road connecting Sydney to the newly formed town of Bathurst. The reason this was so crucial is that for the first time in the history of Australia, pastoral activity was developed and exploited in inland New South Wales. This gave way to a the so called pastoral age that dominated the Australian export market for decades, roughly up to the 1960s. The 160km road that was discovered by Blaxland, Lawson and Wentworth was therefore not only an opening towards the interconnectivity of NSW and a successful export industry but it also marked the beginning of the country’s exploration inland and economic expansion. Who was William Charles Wentworth? William Charles Wentworth, 1790 – 1872, is regarded as one of the most influential individuals of the 19th century in Australia. As a poet, explorer, journalist and politician, Wentworth spearheaded various initiatives that have shaped Australia into the great nation that it is today. Moreover, he was one of the colony’s first native born politicians who strongly believed in the rights of emancipated convicts, contributed to the establishment of trial by jury and vehemently advocated for the Australian colonies to be self-governed. 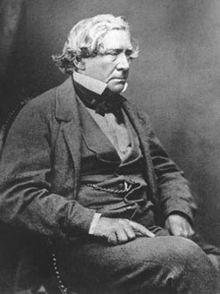 The exact date of his birth remains a matter of debate although most historians would agree that Wentworth was born on the 13th of August 1790 on board a ship docked in Norfolk island and heading toward Australia. His father, D’Arcy Wentworth belonged to an English aristocratic family that fell on hard times, and when he was acquitted of three charges of Highway Robbery he only narrowly escaped conviction of a fourth by declaring that he was moving to Botany Bay to serve as assistant surgeon to the colony. His mother, Catherine Crowley, was a 17 year old Irish girl who was being sent to Sydney following a conviction for allegedly stealing clothing. In 1796 Wentworth moved to Paramatta where his father D’Arcy became a prosperous landowner. Soon after in 1802 William Charles was sent to England to be educated. He spent 8 years attending various schools in Buckinghamshire and Greenwich. In 1810 he returned to Sydney where he became heavily involved in the colonial life under the direction of his father. Subsequently, he was appointed acting Provost-Marshall (chief of police) by Governor Lachlan Macquarie and given a land grant of 1,750 acres on the Nepean River. This was the particular point in his life when he decided to explore the Blue Mountains and lead an expedition tracing a path from the West of Sydney to inland New South Wales. For his accomplishment he was awarded 1000 acres of land. He soon after returned to England in 1816 to study Law, travel around Europe and complete his studies at Cambridge University. In 1819 he published his first book A Statistical, Historical, and Political Description of the Colony of New South Wales and Its Dependent Settlements in Van Diemen’s Land, With a Particular Enumeration of the Advantages Which These Colonies Offer for Emigration and Their Superiority in Many Respects Over Those Possessed by the United States of America. In his book he argued for political reform and liberalisation and managed to be quite influential in encouraging emigration to the colony. After returning to New South Wales in 1824, Wentworth became an increasingly important figure in colonial politics. He initially identified himself with the cause of emancipists and native-born Australians, and established the first non-government newspaper, The Australian, to agitate for their rights. Entering the New South Wales parliament in 1843, Wentworth was a leading figure in the political reforms that led to the colony of New South Wales attaining responsible government in 1853. Wentworth subsequently retired to England, where he died in 1872. W.C. Wentworth was a towering figure measuring six feet in height and commanding a strong build. Some historians describe him as determined and driven to the extent that when he set himself a task it was only a matter of time before it was accomplished. His disposition was warm and generous and he was ready to forget quickly his resentments. He had a good knowledge of constitutional law, quick comprehension, and great logical powers united with great force and accuracy of expression. Behind all this was an immense sincerity, the real secret of his power. He passionately felt that trial by jury, a free press, and the right of the colonies to govern themselves were things worth living for and fighting for, and while he fought for these things the sword never dropped from his hand. He was the greatest man of his time and possibly the greatest man in the history of Australia. William Charles Wentworth and the crossing of the Blue Mountains have had a strong impact in shaping the state of New South Wales and Australia throughout history. The bicentennial celebrations taking place in May 2013 are numerous and quite remarkable. We invite you all to participate in these events, to explore the Blue Mountains and to come and visit us at the Wentworth Falls Country Club for a round of golf and a delicious meal! Categories: Wenworth Falls history | Tags: 1813, blaxland, blue mountains, blue mountains crossing, history, lawson, wentworth, wentworth falls, wentworth falls country club, wfcc | Permalink.